No matter where you live in Florida, we will meet with you personally to sign and notarize your properly prepared relative, step parent, or adult adoption documents. And that’s just the beginning. We will meet with other parties if necessary to properly take their adoption consents, we will file your case for you with the court, coordinate any required service of papers, and will remain available to you throughout your pro se adoption journey for procedural, clerical, and emotional support until your adoption is finalized. No one else offers all-inclusive family adoption services like we do. No one. Things don’t always turn out the way they were planned, and when a baby or children are involved, the stakes are high. Reaching a happy ending to a difficult family situation often takes a lot of hard work, careful planning and the commitment of a loving family. One of our happy families with the judge after their final hearing. Is a Lawyer Required to Adopt a Relative or a Stepchild in Florida? No. While most newborn and DCF adoptions in Florida must be handled by attorneys or adoption agencies, it is important to know that with grandparent, close relative, step-parent, and adult adoptions, sometimes referred to as Florida Kinship Adoptions, you have nonlawyer options that can save you thousands of dollars in unnecessary legal fees while accomplishing the exact same result. In situations where a relative within the third degree of family relation (i.e. a grandparent, great-grandparent, sibling, aunt or uncle) is able to obtain the agreement and consent of the parents, a relative/grandparent adoption in Florida can proceed smoothly through the courts and can be finalized quickly. Likewise, if you are a married step parent wishing to adopt your stepchild, and the non-adopting parent is willing to sign a form consenting to the adoption, a complete step parent adoption case can be presented to the Court and finalized as an uncontested matter after a short hearing. Do Both Birth Parents Have to Consent to the Adoption? 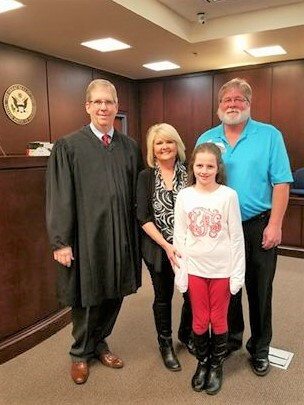 Another Florida Family Adoptions success story. We loved working with this beautiful family! A relative, grandparent, or step-parent adoption case can be filed with the court even if a birth parent does not give consent to the adoption. We have helped numerous families in this situation prepare their adoption documents, and more often than not, their cases resolve without issues. However, some family adoption cases with non-consenting parents can become complicated, and pro se parties may need to retain an attorney if they do. What If My Adoption is Complicated and I Need an Attorney? Families often retain a Florida adoption attorney to handle complicated adoptions, and that’s a great idea if you require legal advice, advocacy, or representation. A competent Florida adoption attorney is able to successfully conclude most adoptions and provide you with legal advice and guidance in situations where the consent of one, or both parents, has not been obtained. 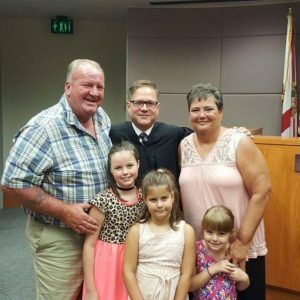 If you decide you need an attorney to begin or conclude a Florida family adoption, I strongly suggest you consider choosing one who is Board Certified in adoption law. Adoption is a very specialized area of family law, and not all lawyers, even family law lawyers, are well-versed in its nuances. What if the Florida Department of Children and Families (DCF) is Involved with the Children? DCF involvement can be serious and have catastrophic consequences to your adoption plans. If you already have or anticipate DCF involvement, read this blog post. If adoption isn’t right for you, or you’re not yet ready to take that big step, filing a petition and obtaining a court order for Temporary Custody by Extended Family may be more appropriate for your situation. 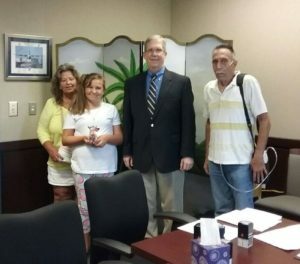 There are lots of grandparents raising grandchildren in Florida and others who have chosen this path, and we assist our customers in preparing documents for this process as well. Mari with new adoptive parents! Florida Family Adoptions will prepare all of the required legal documents and forms for your case using the factual information you provide. We will guide you through clerical process step by step from start to finish, and we will even file your case for you. We will remain available to you throughout for procedural and practical support until your adoption is finalized. There is are no other document preparation services in Florida that operate the way we do. See what sets us apart from the rest. We have had the privilege of helping many families throughout Florida who were big on love, but short on money, achieve their goals. We’re always thrilled when customers call and let us know that their case has been approved and scheduled for a final hearing without complications or issues. Seeing a family come together is always gratifying. Helping a child achieve permanency in a secure, loving and stable home is something we treasure. If we can help you achieve your goals, we would be delighted to speak with you. Please call us today to discuss the nonlawyer adoption document preparation services that our company provides. 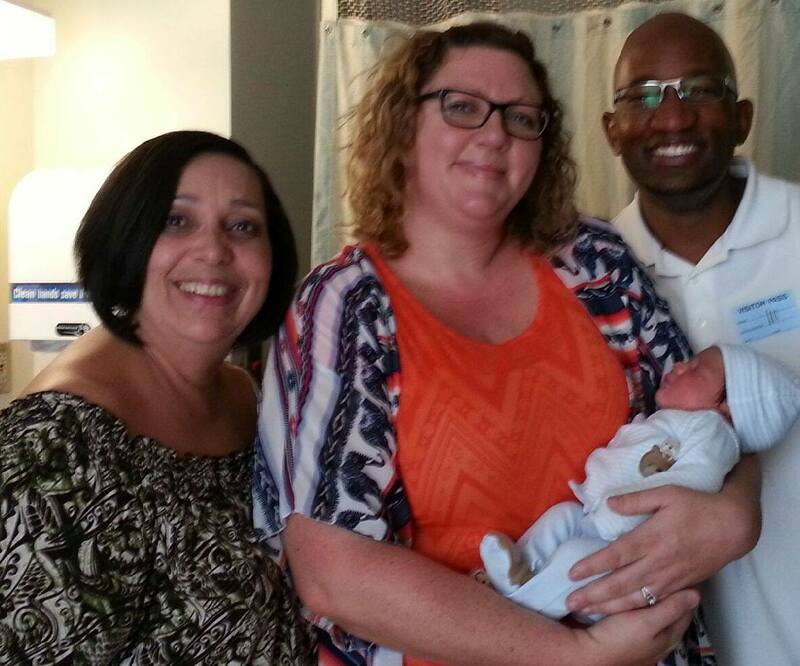 Florida Family Adoptions helped make this family’s dreams come true. Here they are smiling with the judge after their hearing. Unlimited Phone Support for Procedural and Clerical Assistance Until Your Adoption is Finalized. Court filing fees, and the costs associated with serving a summons are not included in our fee. You may qualify for a waiver of filing fees. Ask us for more information regarding court and government fees in your county. My name is Marilsa Torres Medina, but everyone calls me Mari. I am the owner of Florida Family Adoptions, and you will be working directly with me and my staff during the preparation and filing of your Florida grandparent/relative adoption, step-parent adoption, or adult adoption case. I am dedicated to serving Florida residents coast-to-coast, especially grandparents raising grandchildren, by offering quality, nonlawyer adoption document preparation assistance for relative, grandparent, stepparent and adult adoptions. I operate my business lawfully and abide by a strict Code of Ethics. I am not an attorney, but I have worked for attorneys most of my adult life, mostly as an adoption paralegal or adoption program specialist. 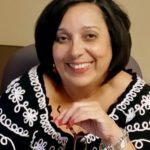 After concluding a very rewarding career, my partner and I decided to open Florida Family Adoptions to help families in need prepare Florida pro se adoption forms. I was born in Caguas, Puerto Rico, and I graduated from the University of Puerto Rico in Rio Piedras. I was introduced to legal work in Connecticut in 1982 and continued working exclusively in this field after I relocated to New York in 1987 and until my move to Florida in 1997. I have devoted the last 35+ years to primarily serving in the legal community. I am bilingual in the Spanish and English languages. I was previously certified in the State of Connecticut as a Simultaneous Courtroom Interpreter. Frequently spoke to community organizations, such as Head Start, regarding adoption. From 2005 until 2010, I served on the Board of Jeremiah’s Child, a foster-care ministry, as its Program Director, and from 2003 to 2009 I served on the Board of Directors of Mary’s Shelter, a maternity home for adoption-minded women in Altamonte Springs, Florida. From 2009 to 2011, I served as a Director at Large for the Florida Adoption Council (FAC), and was the Chair of the annual Adoption State Conference Committee from 2007 through 2011. My office is located in the Professional Building in Daytona Beach, and I serve customers all over Florida. Adoption is so important to me that I insist on meeting all of my customers personally in their communities. 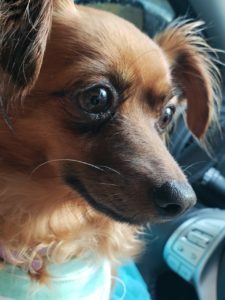 In my free time, I enjoy reading, weekend getaways and cuddling with my Chaweenie (half Chihuahua and half Dachshund), the Dutchess Yazmin Gloriana. One of my passions is the prevention of animal cruelty, and I strongly advocate for pet adoptions through rescue organizations and no-kill shelters. This is Yazzie the Adoption Chaweenie. You’ll probably meet her when you sign your adoption documents. Please check back often. We’ll be updating this site and blogging regularly with more information and news about family adoptions in Florida. Florida Family Adoptions is a Florida Better Business Bureau (BBB) Accredited Business with an “A+” Rating. We are properly registered with the Florida Department of State, Division of Corporations. We are members in good standing with the (FAC) Florida Adoption Council and a certified member of the (FALDP), The Florida Association of Legal Document Preparers. Please read our reviews on the BBB website.